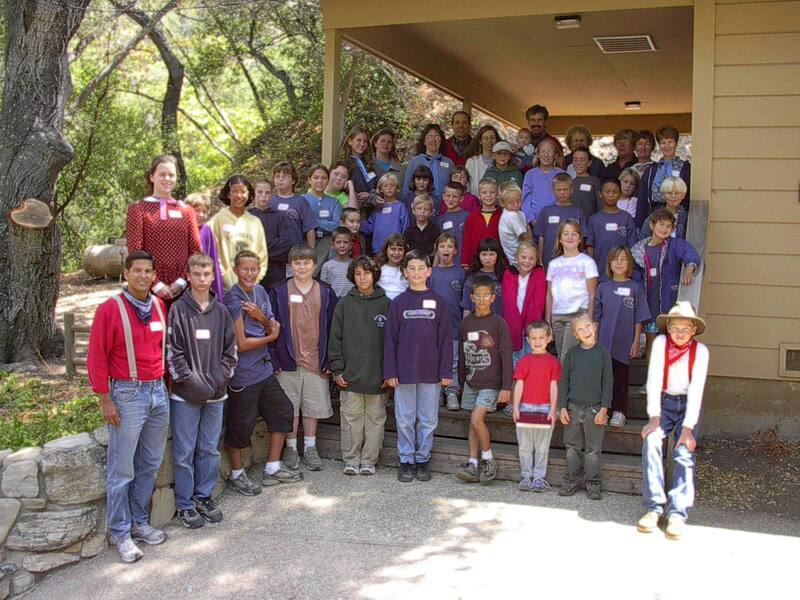 October 10, 1951 – The LCCC property was donated / sold to Grace Tabernacle (Grace Church) of San Luis Obispo, CA to be used for a Christian camp facility by Mr. and Mrs. Ralph Rhyne for the amount of $200. 1953 – Grace Church began developing the property. The camp was utilized by area churches and Christian organizations including Child Evangelism Fellowship and American Sunday School Union (now American Missionary Fellowship) which still meet at the camp. 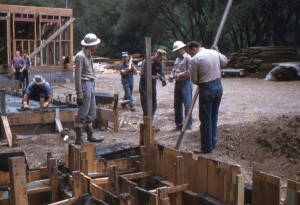 1985 – New restroom / director’s quarters were completed. July 4, 1985 – All the camp buildings except the chapel were destroyed by the Las Pilitas Forest Fire. 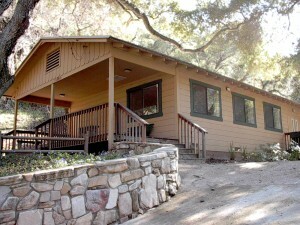 1986 – A mobile home was purchased and moved to the property. 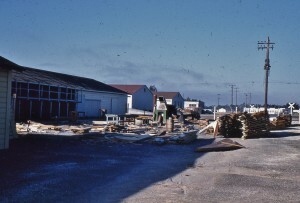 Spring 1987 – The current workshop and temporary restrooms were constructed. 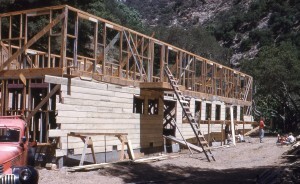 Summer 1987 – Five weeks of Summer Bible camps were held in army tents and a temporary kitchen in the workshop. Campers ate outside on picnic tables. October 15, 1987 – LCCC was incorporated as a nonprofit religious corporation. Spring 1988 – Tent cabins were constructed. June 14, 1990 – Grace Church deeded the camp property to LCCC corporation. 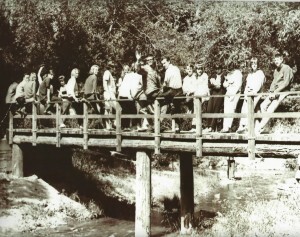 November 1990 – Broke ground for the Dining room / lodge. 1st floor completed 1995. 2nd floor completed 1996. October 1997 – Broke ground for 1st new dorm. Winter 1997 – Remodeled chapel. Inside was gutted and drywall installed. New doors, windows, heating system, lights, decks and patio were installed. April 2000 – 1st dorm completed. 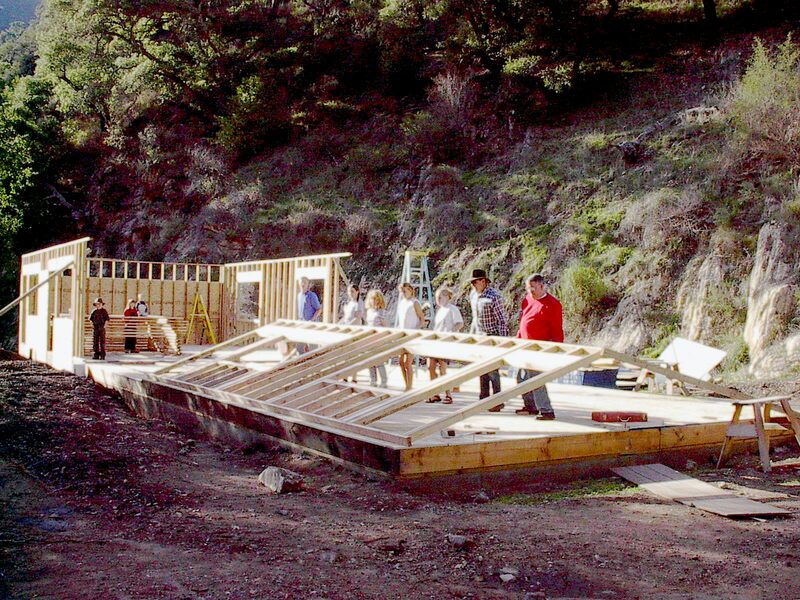 Spring 2000 – Broke ground for 2nd new dorm. Summer 2002 – Began Lopez Canyon Bible Camp with 35 campers – the first camp sponsored and run by Lopez Canyon Conference Center. February 2004 – Completed second dorm. May 2004 – Began construction of Director’s house / Camp office.